Hope you had a splendid Fourth of July! Mine was fantastic. My brother is in town for the long weekend and we are all ecstatic to spend some quality family time together for the first time since the winter holidays! Last night, it was just my mom, my brother, and me for dinner, so I wanted to keep it simple (but delicious, always delicious) while still creating a festive summer meal. 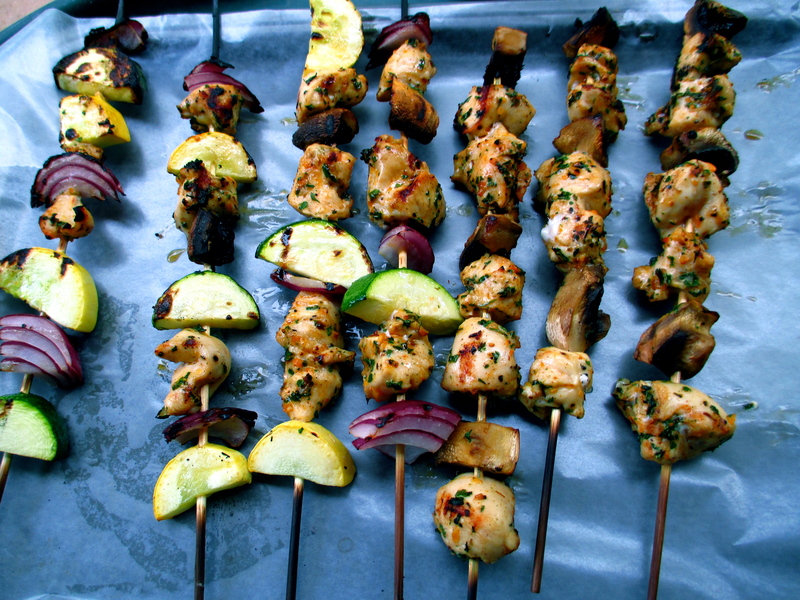 What screams simple summer meal more than chicken and vegetable skewers?? It’s realllllllllly easy. I marinated the chicken and chopped up the vegetables in the afternoon, so at dinnertime all I had to do was slide them all onto the bamboo skewers (which you can get at the grocery store–a pack of 100 for less than a dollar!) and grill away. Easy peasy! I’m already thinking about how to mix things up for next time…maybe I’ll add pineapple…mmmmmmm. 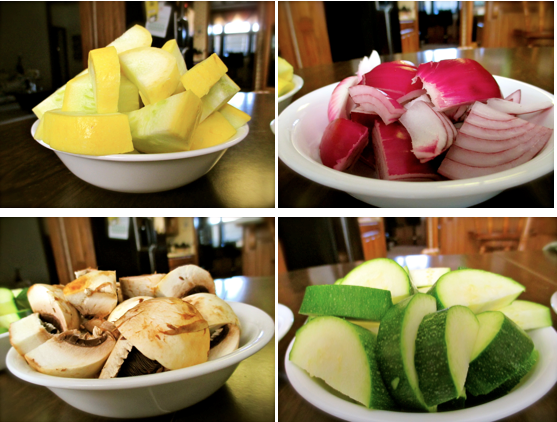 I used yellow squash, zucchini, red onion, and mushrooms, but you can use whatever you want, or mix and match! 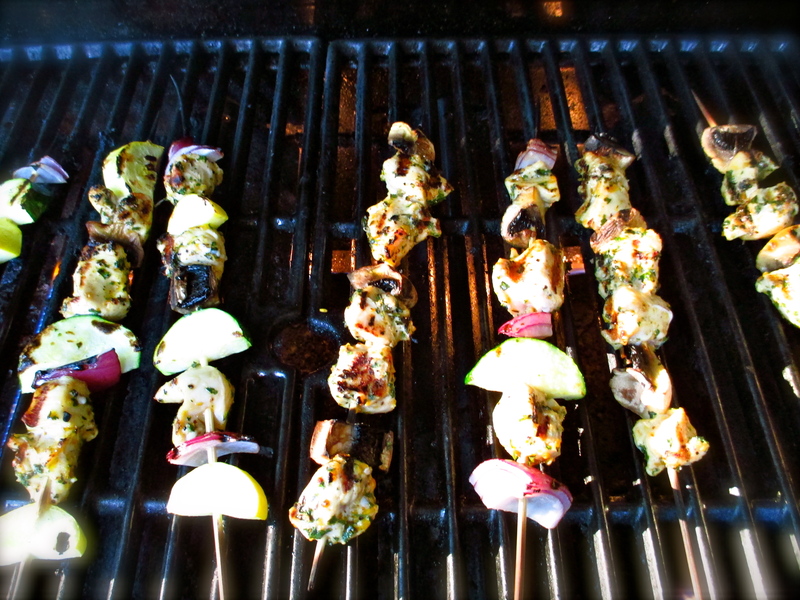 My brother isn’t a fan of squash and zucchini, so I just layered his skewers with chicken and mushrooms. For my vegetarian friends out there, I made some with just veggies too and they were divine. The onions get all caramelized and the squash and zucchini have a perfectly charred crunch while still retaining the moisture on the inside…yummm. *or vegetables of your choice! 1. At least 2 hours in advance, cut raw chicken into large cubes, then create marinade with 2 tablespoons seasoning (I like my chicken well-seasoned!) and 2 tablespoons olive oil (plus the salt if needed). If using frozen chicken breasts, make sure they are thawed before you begin this step. Mix it all together to make sure the chicken is well coated, then cover and set in the refrigerator. 2. 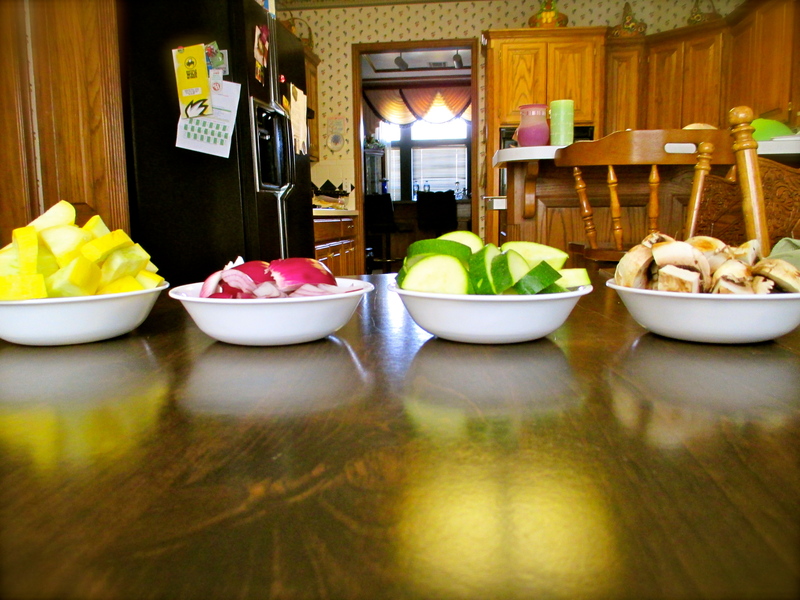 Chop up the vegetables and place in separate bowls. You can do this in advance to make dinner quick and easy, or just do it right before you eat. 3. 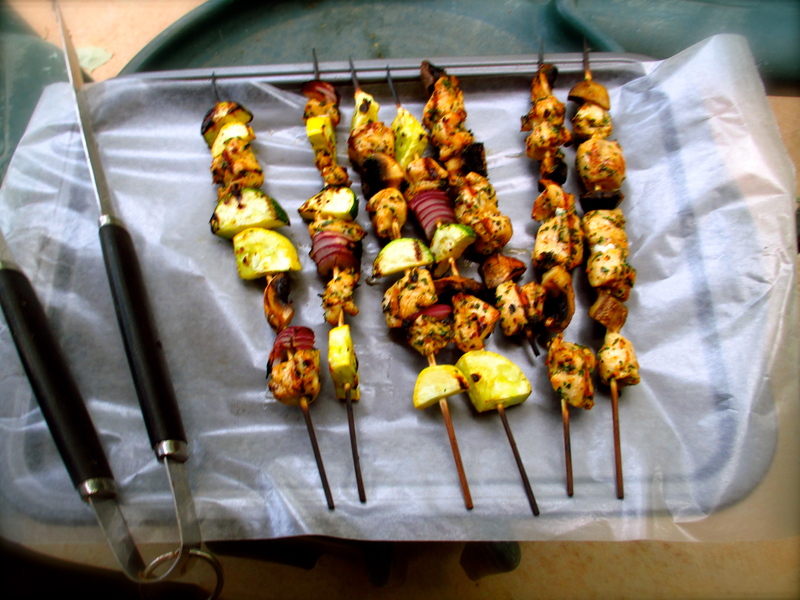 Layer chicken and vegetables onto the skewers as you like. Lightly drizzle vegetables with olive oil and sea salt before grilling. 4. Preheat grill on high. Cook skewers for about 3 minutes per side, checking to see if the chicken is done and the vegetables are charred to your liking! 5. Enjoy with loved ones. This entry was posted in Food, Healthy, Paleo, Recipes and tagged chicken, chicken skewers, delicious, diet, dinner, easy, food, fourth of july recipes, grilled chicken, grilled chicken skewers, grilled vegetable skewers, health, healthy, july fourth recipe, mccormick seasoning, mushroom, olive oil, paleo, paleo diet, recipe, recipes, red onion, sea salt, simple, summer recipes, vegetable skewers, yellow squash, zucchini. Bookmark the permalink. Pooja, that was soooo delicious and great treat. 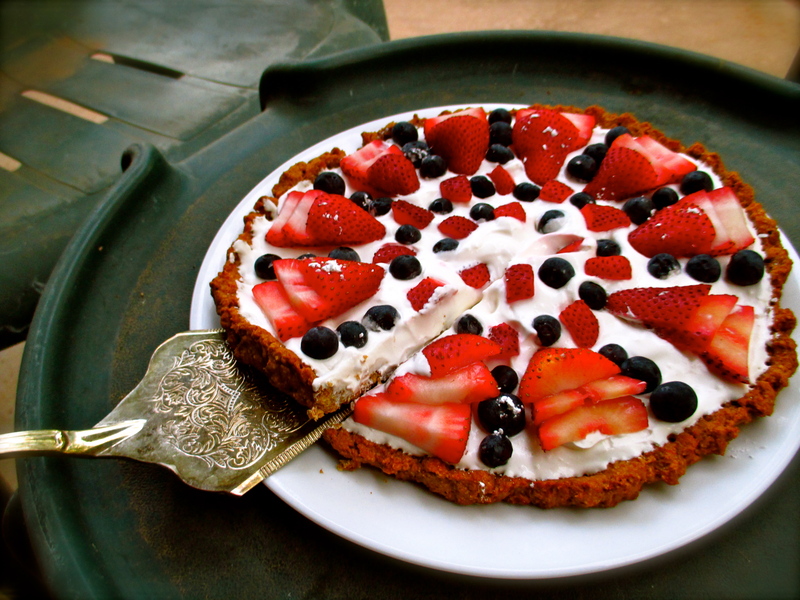 Perfect 4th July bbq meal. You are too good. i am proud of you.